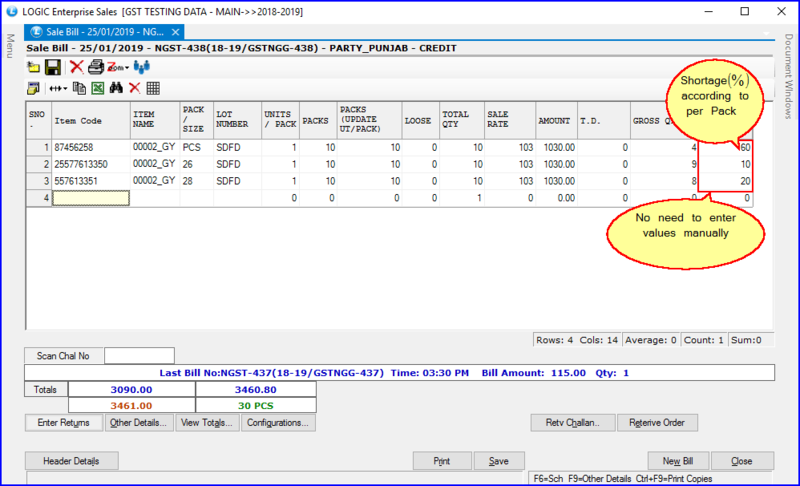 Now you can adjust the Gross Quantity Value in the Sale Voucher Configuration when generating the Sale Bill of the items. 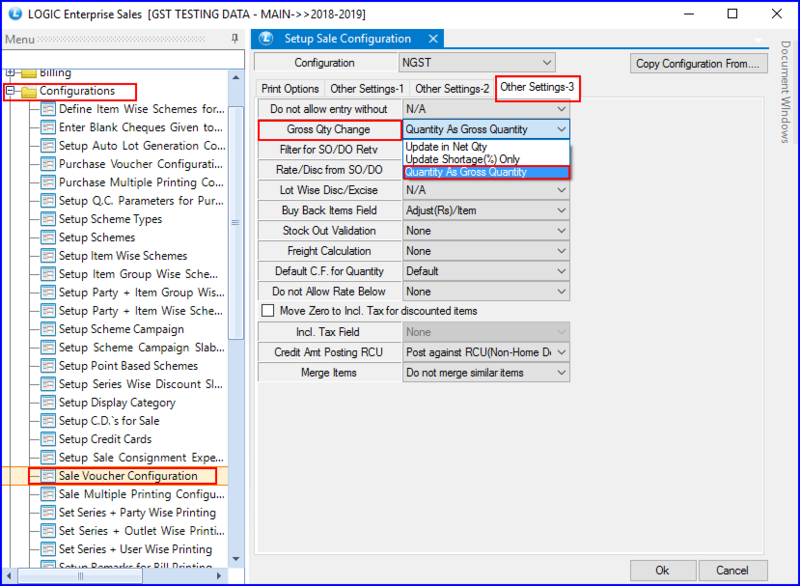 A new option i.e., Quantity As Gross Quantity added in “Setup Sale Configuration” window to adjust Gross Quantity Change value. 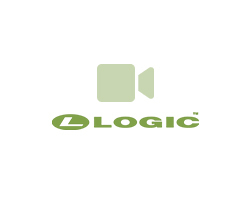 For example, you have an item whose Total Qty you entered is 10 and its Shortage(%) is 20. 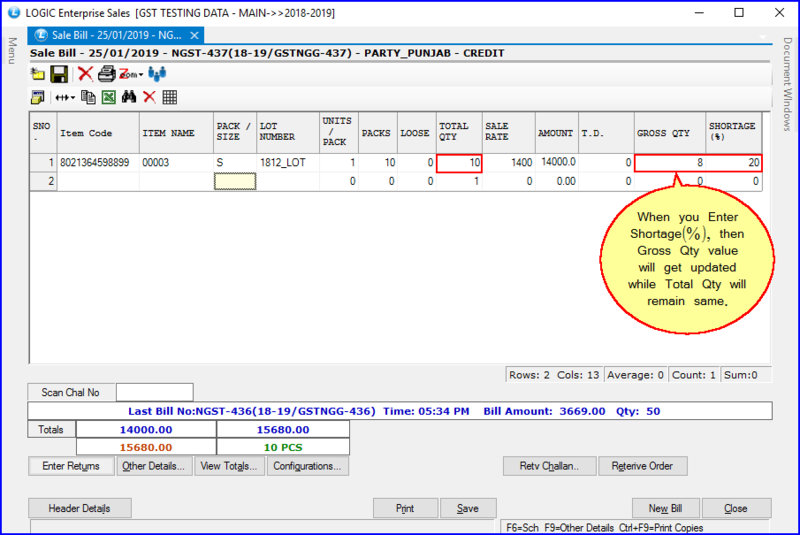 Now, when you will enter the Shortage(%) value manually, the Gross Qty will get updated automatically. No change will occur in Total Qty value. 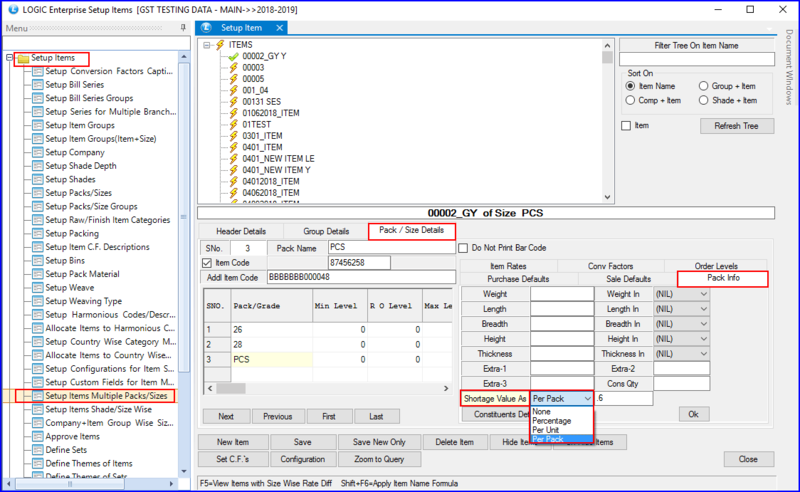 If you want to set Shortage Percentage value for the items, then there’s another new option added i.e., “Shortage Value as” option. You can set Shortage Value for the item as “per pack, percentage, and per unit”.